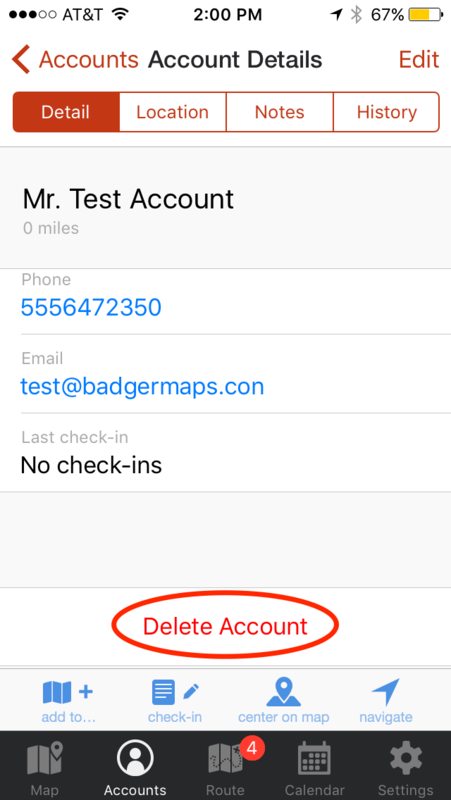 Badger Maps makes it easy to delete accounts from the convenience of your iPhone. Open the Badger Maps application. 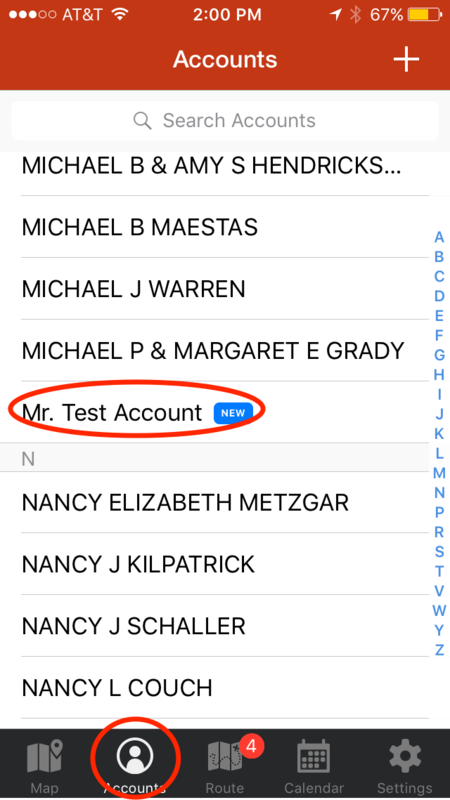 Select the “Accounts” icon at the bottom of the screen. Select the account that you would like to delete. Click on “Delete Account” on the bottom of the page and confirm the decision to delete in window that pops up.